We are passionate about education and change. We are New Yorkers; many of us graduates of City’s specialized high schools, including Hunter College High School. We feel indebted to these institutions for providing us with a foundation for exploring our interests and building our careers. All of us have dedicated ourselves to increasing access to education opportunities for New York City students through PASSNYC! Lesley Adeyemi Adewunmi is a UX designer and photographer, with previous experience in NYS government as a policy analyst and management consultant. 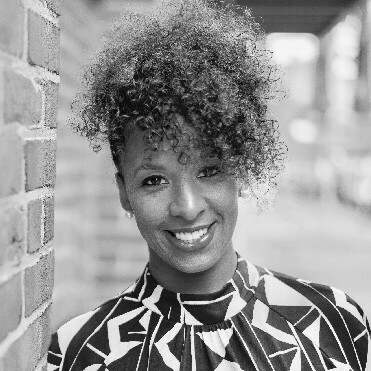 She joins PASSNYC TO LEND HER creative acumen tO OUR communications, marketing AND web design. Yemi received a Master'S in Public Administration from the Rockefeller College of Public Affairs and Policy at SUNY Albany, and a BA in Politics & Philosophy from the University of Pittsburgh. Alicia is currently pursuing her Bachelor of Science in Accounting with a minor in Economics at Hunter College and hopes to become a licensed Certified Public Accountant in New York City after graduation. Through her involvement with the Hunter College Accounting Society, where she is the current Vice President, she has participated in the Volunteer Income Tax Assistance (VITA) program for two consecutive years, providing free income tax assistance for low-income families in New York City. AS FOUNDER AND CHAIRMAN, RYAN IS THE gardener RESPONSIBLE FOR PASSNYC’S GROWTH AND EXPANSION. HE ALSO WORKS AS A REAL ESTATE LOBBYIST and liaison IN NEW YORK CITY, SERVES ON HUNTER COLLEGE’S ALUMNI ASSOCIATION BOARD OF DIRECTORS, AND ON THE ADVISORY BOARD FOR THE YOUNG EISNER SCHOLARS PROGRAM. RYAN WAS ONE OF HUNTER'S LAST ACADEMIC LIFERS--HAVING GRADUATED WITH HONORS FROM THE MACAULAY HONORS COLLEGE AT HUNTER EIGHTEEN YEARS AFTER BEGINNING HIS EDUCATION IN THE FORMER NURSERY SCHOOl. Akil is a supplemental education and test prep expert. Beginning as a proctor with the Princeton Review in 1990, Akil has worked in every level of test prep, helped launch two companies, developed dozens of prep programs for OVER ten different high-stakes tests, trained hundreds of instructors, and helped thousands of students achieve success. Akil was founding partner and CEO for Bell Curves, AND is currently Director of Strategic Initiatives at The Princeton Review, where his focus is helping public schools, non-profitS, and community based organizations understand standardizeD tests and develop affordable solutions. MAX HAS LIVED IN NEW YORK HIS ENTIRE LIFE (WITH THE EXCEPTION OF 4 YEARS AT NORTHWESTERN UNIVERSITY AND A YEAR OF WORK IN CALIFORNIA). HE HAS WORKED IN MANY ROLES AS A PROFESSIONAL RESEARCHER AND LOVES TO WRITE ESSAYS AND PERFORM MUSIC. MAX HOPES TO BRING A CREATIVE VOICE AND A NEW APPROACH TO EDUCATIONAL ANALYTICS, TO GIVE BACK TO HIS FAVORITE CITY. Melanee is a strategic advisor, coach and HR professional focused on education and social service. She has 10 years of experience in federal government, intergovernmental partnerships in NYC, grants and early childhood education. She’s a member of the board of the Diaspora African Women's Network, a Coro Leadership New York alumna, and recent appointee to her East Harlem CB. PREVIOUSLY, SHE served as Chief of Staff and Policy Advisor with the Atlanta City Council. Dr. Genao is an Assistant Professor in Queens College’s Educational Leadership Program and a respected speaker, writer and researcher on the topic of preparing school administrators. the daughter of immigrants from the Dominican Republic and Haiti, DR. GENAO makes human rights, economic and environmental sustainability, and global justice integral to the learning experience for the future school administrators whom she trains at Queens College. Agnes is currently working in financial risk management, with an a background in economics from Boston University. She is eager to work with PASSNYC as part of the research team to evaluate the current state of representation in New York City's specialized high schools. LindsaY IS A GRADUATE OF BRYN MAWR COLLEGE AND PREVIOUSLY ATTENDED THE BACCALAUREATE SCHOOL FOR GLOBAL EDUCATION IN QUEENS. IN WEST PHILADELPHIA, LINDSAY FOUND A PASSION FOR TEACHING MATH AND SPANISH. SHE HAS VOLUNTEERED AT A NUMBER OF OUTREACH PROGRAMS IN UNDERSERVED COMMUNITIES IN NYC AND PHILLY SUCH AS SALVATION ARMY, VITA TAX PREPARATION AND MEALS-ON-WHEELS. SHE IS CURRENTLY PURSUING A MASTER'S IN APPLIED MATH AT CUNY QUEENS COLLEGE. Derek iS A marketing associate and project manager in REAL ESTATE, with a background in CREATIVE arts (MFA, New SCHOOL). Derek has volunteered for THE Red Cross, Visiting Nurse Service of New York and NYC DEPT OF ParkS and Recreation, and has participated in NYC youth programs emphasizing dynamic academic exploration. These experiences have ignited a hunger to do more; Derek is excited to roll up his sleeves and offer support to PASSNYC, IN PARTICULAR TO HELP UNDERSERVED YOUTH OF COLOR ACCESS OPPORTUNITIES TO GROW BOTH THROUGH ACADEMIA AND ARTISTIC ENDEAVOR. Fred has dedicated his career to helping families from underserved communities. As Admissions Director for Prep for Prep, he presided over a competitive process WITH 200 students A year gaining access to academic preparation and support. PREVIOUSLY, Fred helped NYC Outward Bound build a network of public secondary schools in some of the most challenging environments in the City. A proud graduate of Hunter College High School, Fred is committed to BUILDING ACCESS TO opportunities LIKE THOSE afforded him as the child of Jamaican immigrants. DIANA IS A HUNTER COLLEGE HIGH SCHOOL AND HARVARD UNIVERSITY ALUMNA. AFTER COLLEGE, DIANA HELPED LAUNCH LOCUS ANALYTICS, A THINK TANK BUILDING THE ACADEMIC FIELD OF SYSTEMS ECONOMICS AND ITS APPLICATIONS. DIANA IS CURRENTLY STUDYING AT COLUMBIA BUSINESS SCHOOL. SHE IS EXCITED TO BE INVOLVED IN OUR EFFORT TO SHAKE UP THE CURRENT DYNAMICS OF TESTING AND REPRESENTATION AT NEW YORK’S SPECIALIZED HIGH SCHOOLS. Shams is a graduate of Drexel University in Philadelphia, and has been actively involved in the Global Financial Services industry for the past 6 years. His work has been in medium/large scale process and technology transformation, as well as data analytics, product development and technology enablement. He is currently designing solutions for educational partners to increase effectiveness and data analytics to identify trends and strategies. Russell Noh is a City College of New York graduate, with a degree in chemistry. He has worked on clinical research programs at Weill Cornell’s Clinical and Translational Science Center, and volunteered at a community health outreach program for youths. Russell also served as a mentor and tutor for incoming City College freshmen in STEM fields, and became passionate about education after learning that many students enter college wholly underprepared as graduates of the public school system. 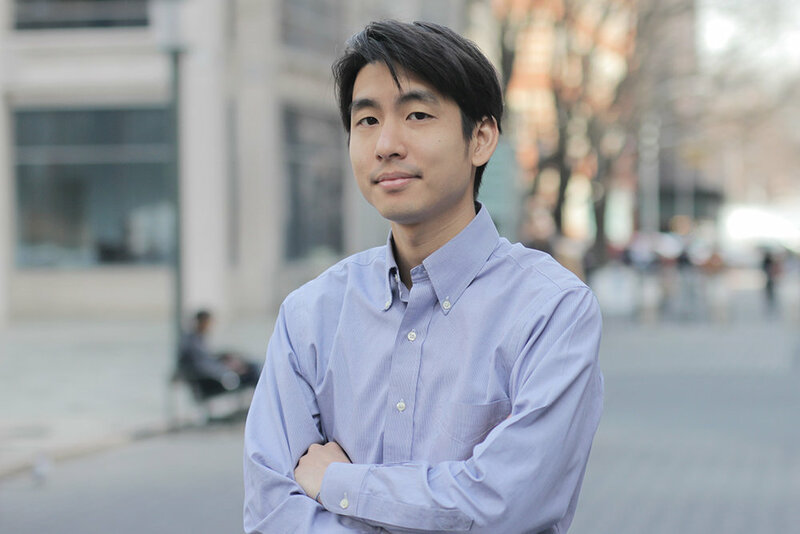 Jiro is the Program Manager for the Urban Future Lab, a cleantech incubator formed in partnership with NYU Tandon School of Engineering and New York State Energy Research and Development Authority (NYSERDA). Previously, Jiro was a Senior Auditor at Ernst & Young LLP. Jiro graduated from The Bronx High School of Science (’06). Bridgette is a seasoned government relations professional with a passion for understanding factors that contribute to the pervasive achievement gap between poor and minority students and their counterparts. As a Caribbean immigrant who attended public schools in the Bronx, she's seen how access to a great education can shape the trajectory of one's life. Bridgette received her Master's in Public Health from the City University of New York at Hunter College, and her BA in Communications from SUNY Albany. William attended Hunter College Elementary and High School with PASSNYC founder Ryan Baxter. WHILE AT Tufts University, WILLIAM VolunteerED aND TAUGHT in some of the toughest parts of Kenya. HE WAS ALSO AN advisor to CEO of non-profit Brand-Haiti. SINCE, William has consulted for and HELPED GROW marketing AND infrastructure development STARTUPS. As the head of Partner Affairs, he is thrilled to be back in the non-profit space, and excited to put his contacts to work for the students of NYC. Aron Wander attended Hunter College High School and Princeton University, where he studied political science and creative writing. Currently, he works as a research assistant at NYU, where he analyzes US and NATO troop movements in Afghanistan. He's excited to use his statistics and creative writing backgrounds to both evaluate and communicate the difficulties facing low-income and minority students. As a poland native and a life-long new yorker, monika IS PROUD TO BE A FIRST GENERATION COLLEGE STUDENT AFTER ATTENDING NEW YORK CITY’S PUBLIC SCHOOL SYSTEM. MONIKA HAS WORKED ON ADVANCING PROGRESSIVE CAUSES THROUGHOUT HER CAREER INCLUDING IMMIGRATION LAW, HEALTHCARE TECHNOLOGY INNOVATION, AND EDUCATion. MOST RECENTLY SHE WAS A CAMPAIGN STAFFER IN LANCASTER COUNTY, PA in the 2016 PRESIDENTIAL ELECTION, and she now works for the city of new york. Max Zamor is currently an MBA student at Duke University’s Fuqua School of Business. Prior to Duke, Max was a New York City public high school Mathematics teacher for four years, in Brooklyn and in the Bronx. As a teacher, Max also developed his own mathematics tutoring business. He is very excited to maintain his connection to the world of education through PASSNYC and use his experience as a teacher to enrich the organizatioN.